The idea of ​​Habitat Gacanek from the beginning was simple. Peace and quiet in spacious suites with a fireplace on the lake shore for those who are looking for a moment to forget among the scents of meadows, the sound of trees and the singing of birds. 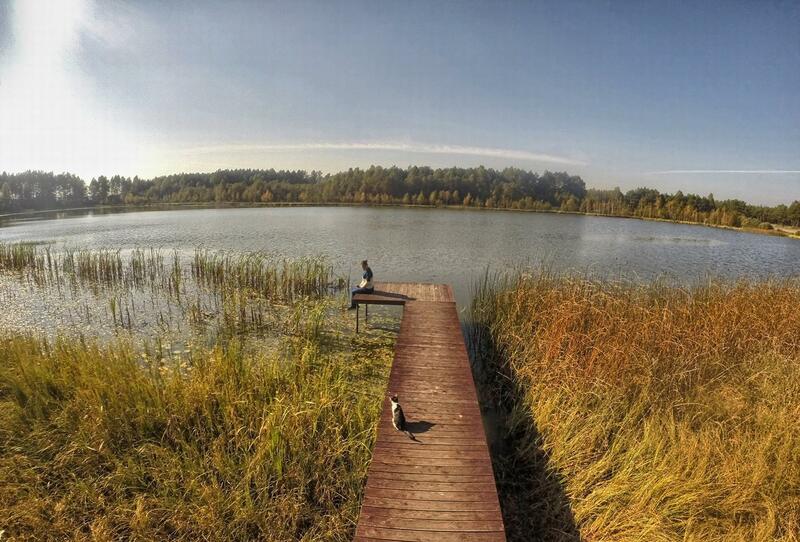 For creative people, adults, owners of quadrupeds and lovers of Polish countryside. Gacanek is probably the only place in Poland, where the dining room of the guest house is also an art gallery. We wanted to breed pheasants, then ostriches and only friends convinced us to the guesthouse. 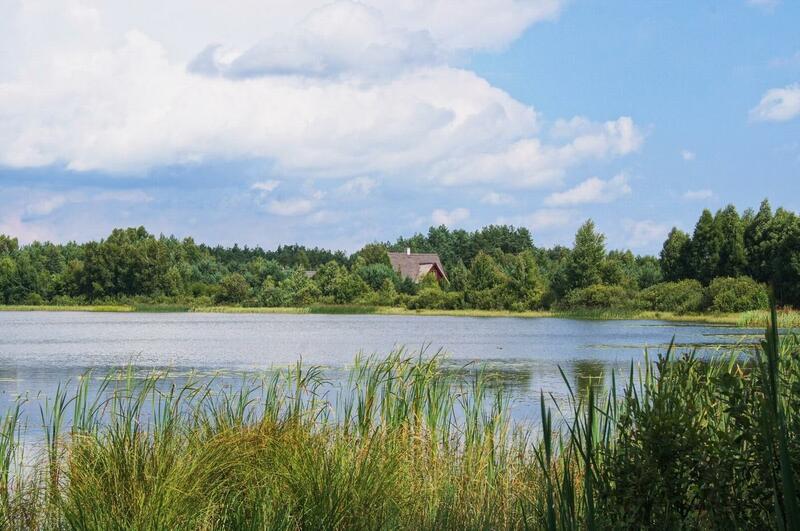 And so, on the bank of a small lake, among forests and fields, stood three cottages - a habitat under thatched roofs in the Tuchola Forest, including apartments with fireplaces and a regional art gallery. 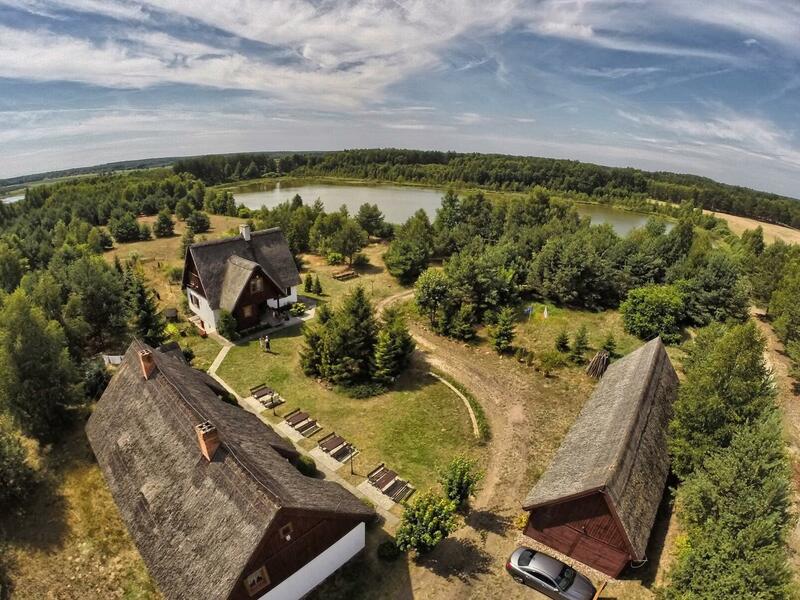 In 2017, we decided to invite only adult guests to Siedlisko Gacanek to become a refuge for those seeking peace and quiet. Welcome! 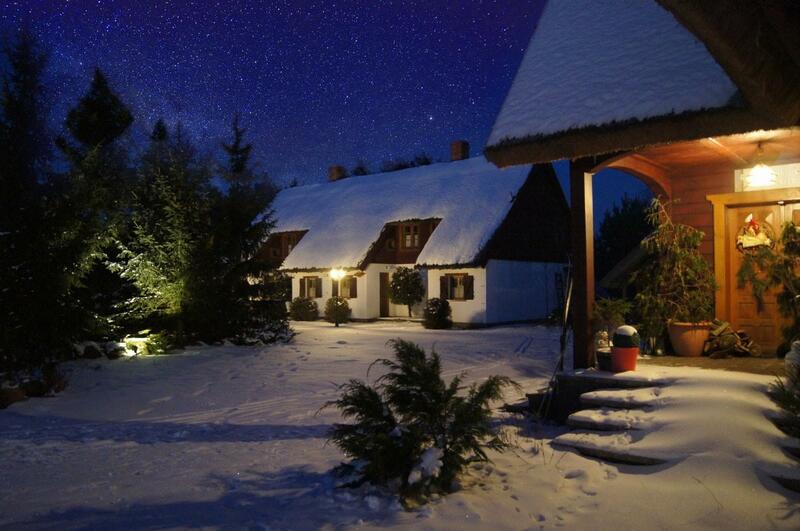 From 2017, Gacanek is the first friendly farmhouse in Poland, looking for peace and quiet - we did not offer discounts and facilities for the youngest ones. Prices include breakfast, parking, wifi, wood for the fireplace and the possibility of using attractions (boats, bicycles). Milusinski animals (small / medium, large) 25 zł / 40zł - day. If you cancel your reservation within 7 days of your arrival, you may be able to switch to another one in the current season, if available. Access to the A1 motorway (Warlubie / Kościerzyna exit), + 40km to Gacanka via Oss. Habitat serves a real escape from the big-city buzz and chaos, corporate "pressure" and deadly pace. Detox for the soul and senses, here you NEVER MUST. Ciiiiiiiiiisza, interlaced only with the "music" of NATURE. Friendly hosts, Ewa provides food for the ghost (books, stories, gallery) and palates (varied, tasty, tasty breakfast), and Mr. Marek smile and a good word;) Paradise for anglers (lake), but ... less "insiders" can swim on the lake by boat (pleasant experience :) Bicycles rather for shorter routes, although there are many beautiful routes for seasoned cyclists :). Surroundings - definitely for English admirers, not French gardens :) :) :). 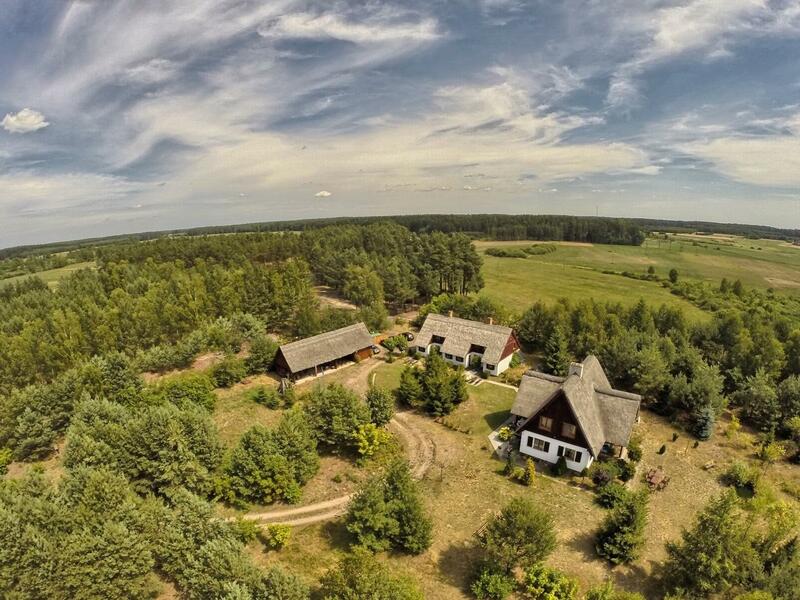 Very interesting borowiacka architecture, large living space - valuable !! Well equipped with comfortable, garden furniture (from benches, armchairs, couches to suspended among lovely birches hammocks). "Quiet countryside, cheerful countryside ......", definitely not for everyone, though charming.